Cornell University Press, 468 pp. The late nineteenth and the early twentieth centuries in western Europe and in Russia were periods of great political and social upheaval. The occult came into vogue, flourishing in the spiritual emptiness left by nineteenth-century industrialization, materialism, rationalism, and positivism,(2) as well as in the lack of fulfillment people felt in institutionalized religion. Political events in Russia heightened this trend, and the occult played a strong role in prerevolutionary Russian culture. Artists, writers, poets, philosophers, lay theologians, psychologistsall were drawn to and explored (and mined) the occult, beginning with the French occult revival of alchemy, the Kabbalah, and magic. Educated Europeans of the time read French, as Paris was the cultural capital of the West, and Russians followed the trends set there (crows trying to be peacocks, as Gurdjieff explains(3)). Also popular were the new occult doctrines of Spiritualism, Theosophy, and Anthroposophy. The doctrine of Spiritualism (that the dead continue to exist and specially gifted mediums can communicate with them), its huge popularity cutting across all classes, entered into the highest circles in the royal courts of England, Germany, and Russia. Theosophy and Anthroposophy, appealing to the intelligentsia, were both eclectic attempts to reconcile science and religion. Russians combined these new doctrines with occult beliefs and practices indigenous to Russia, such as shamanism, and the apocalypticism and messianism that were part of their cultural heritage. Also playing a strong role was Satanism, as Kristi A. Groberg shows in "The Shade of Lucifer's Dark Wing." She recounts how Symbolism, the dominant aesthetic of Russia's so-called Silver Age, basing itself on the occult idea of correspondences and using subtle suggestions and subliminal associations, was the main carrier of this idea. Says Groberg, "The Symbolists' rebellious 'underground' Satanism was a way to reject society's values, but it was also an excuse for exciting and unusual forms of self-indulgence." In the opinion of one observer, "such extreme self-affirmation was, plain and simple, the demonic 'wish to be gods.'" The Goth lifestyle of present times seems too direct a correspondence. Let's hope the same societal end is not presaged. The idea of secular progress had been brought into the occult in the 16th century, during the Renaissance, by Paracelsus, the Swiss-born, German occultist and physician. In late imperial Russia, as demonstrated in "Fedorov's Transformations of the Occult" by George M. Young Jr.,(5) Nikolai Fedorov (1828/29-1903) transformed or "Fedorivized" the occult, greatly influencing Russian and Soviet culture through his admirers, among them Tolstoy, Dostoevsky and Gorky. (6) Fedorov's theme was the literal, physical resurrection of all the dead to life, "not only a scientific possibility but a moral duty...to be accomplished by human ingenuity and effort." Science should turn its aim to creating a world that could accommodate this vast population. In advocating genetic engineering, the colonization of space (so all the resurrected dead would have a place to live), solar energy, climate control, irrigating Arabia with Arctic icebergs, cloning, prosthetic organs, prolonging human life, and improving human health until immortality is universal, Fedorov "set the agenda for Soviet science. "(7) (We might say, for modern science as well.) Besides taking the occult solidly into the material, Fedorov took ideas at will, citing no sources for them, as he believed ideas should be common property and belonged to no individual. Fedorov located the ancient source of lost power and knowledge in the Pamirs, not Atlantis. According to Young, it was "long after Fedorov, [that] George Gurdjieff (who probably did not know Fedorov's work) set much of his Meetings with Remarkable Men in this very region. "(8) Believing the desolate Pamirs to be the lost Garden of Eden, Fedorov's goals included an Anglo-Russian archaeological expedition to the Pamirs to, among other things, reclaim the wasteland and restore the Garden. Although his remedies were often extreme, one of Fedorov's more interesting beliefs was that humanity was creating worldwide a debauched playground, which he called "pornocracy." His ideas live on today in Russian Cosmism, which is an anthropocentric philosophy and cosmology popular in Russia. Based on the idea of microcosm and macrocosm, it also contains elements of UFOs and the like. 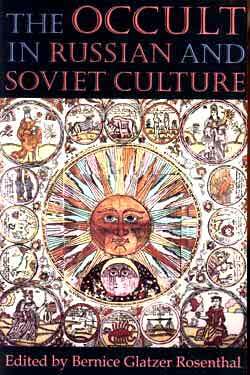 Michael Hagemeister, describing this eclectic movement in, "Russian Cosmism in the 1920s and Today," notes that "cosmism's underlying belief in the omnipotence of science and technology is rooted in the idea of the magic power of (occult) knowledge." (1) In Search of the Miraculous, p. 65. (2) Positivism emphasizes facts, empirical research, and methodology. (3) Chapter XXXIV,"Russia," in All and Everything, First Series. (5) For a more detailed study of Fedorov, see George Young Jr.'s, Nikolai Fedorov: An Introduction (Belmont, Mass. 1979) and "Toward the New Millennium: Ideas of Resurrection in Fedorov and Solver," in Russian Thought after Communism: The Recovery of a Philosophical Heritage, edited by James P. Scanlan (Armonk, New York, 1994). (6) Gorky, while disowning it, was interested in the occult, particularly thought transference and hypnotic suggestion, which "promised great power to influence public opinion." Chapter Eleven, Mikhail Agursky's "An Occult Source of Socialist Realism: Gorky and Theories of Thought Transference," pp. 247-272. (8) Ibid, p.182. Apparently regarding Gurdjieff's book as only a fable, this is a spectacular instance of seeing things topsy-turvy.